Tea has been touted for its health benefits and medicinal properties for centuries. Since tea’s legendary discovery nearly 5,000 years ago by Chinese Emperor Shen Nong; to Japan’s early promoter of tea, the Zen monk Eisai in his 1214 “Kissa Yojiki” (Health Benefits of Tea,) to numerous scientific studies conducted in recent decades, to voluminous information on the Internet today; the claims regarding health benefits associated with drinking this simple beverage of leaves and hot water are nothing less than amazing. Tea’s recent surge in popularity in both the West and in Asia has mainly been connected to this interest in tea and health. With claims to curing everything from bad breath to cancer, we thought it best to put together some brief information and links to references that can assist tea consumers in making their own conclusions regarding the health benefits associated with enjoying Japanese green tea. 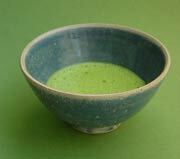 In both China and Japan, tea was early on regarded as a medicinal drink. It has since become a commonplace beverage in Asia, and the second most popular drink (after water) in the world. Tea in Japan is no exception, and is an integral part of the diet of the country with the longest life-expectancy rates in the industrialized world. It should also be noted that this diet and lifestyle include a lower cholesterol diet featuring Omega-3 rich fish, fresh seasonal local produce, and high physical activity levels. City dwellers may walk an average of an hour a day to and from train stations, a large rural population still engages in small-scale [on foot in the fields, not riding large combines] agricultural work, and it’s not uncommon to see women in their 60’s & 70’s riding bicycles to the supermarket every day for fresh ingredients due to the lack of refrigeration and storage space in the typical Japanese home (a blessing in disguise!) But, also add to this the fact that a large portion of the population engages in excessive consumption of tobacco and alcohol and an increasingly Westernized diet, and is exposed to high levels of stress from overwork and overcrowding. Where does Japanese tea fit into enhancing the good points of the lifestyle and preventing the detrimental effects of the bad? The biggest health-related news concerning green tea may be the connection between antioxidants and potential prevention or inhibition of a range of cancers. The antioxidant EGCG (epigallocatechin gallate) has been of particular interest. A 2004 study at Kyushu University showed significant slowing of cancer cell growth related to this antioxidant. The U.S. National Institute of Health’s National Cancer Institute has also done considerable research into catechins, the antioxidants found in tea, and their inhibiting actions on cancer cells. Another study published in 2006 in the Life Science Journal, Carcinogenesis was specific to positive effects against breast cancer of the combination of green tea and tamoxifen. Green tea research has also been documented concerning cardiovascular disease. The well-known Ohsaki Study (Tohoku University,) published in the Journal of the American Medical Association in 2006, followed a population of 40,530 participants for up to 11 years for death from all causes and up to 7 years for death from specific causes. It found a lower mortality risk (16% for all causes and 26% for cardiovascular disease) among participants who drank five or more cups of Japanese green tea per day. Another 2006 study at Yale University School of Medicine that appeared in the Journal of American College of Surgeons reviewed over 100 studies on the health benefits of green tea. The “Asian Paradox” is what they named the phenomenon concerning lower rates of heart disease and cancer in Asia, despite higher rates of cigarette smoking. The study suggested that high levels of polyphenols and other antioxidants found in green tea may possibly improve cholesterol levels; specifically preventing the oxidation of LDL cholesterol which can reduce the buildup of arterial plaque. Since cancer and heart disease are two major contributors to worldwide mortality rates, positive associations with green tea and health in these areas have been significant drivers in green tea’s current popularity. Other areas of interest for researchers that have also suggested potential benefits of tea include: Diabetes, HIV, Arthritis, Stress Reduction, Increased Metabolism & Mental Alertness, Obstructive Sleep Apnea, Inflammatory Bowel Disease, and Halitosis. The list of laboratory and clinical medical studies regarding the health benefits of green tea is truly endless, and one can find many well-cited articles on the Internet. It should be noted, however, that the official stance of the U.S. Food and Drug Administration (FDA) on petitions for health claims concerning green tea is that current evidence does not support these health claims. On the other hand, in 2006 the FDA did approve a green tea based ointment (Veregen, kunecatechin ointment 15%,) adding it to the “Prescription Drug Product List” in October of that year. Green Teas contain a range from 5 to 40 mg of caffeine per average serving. The average cup of coffee can contain 90 – 150 mg of caffeine, and a can soda around 50 mg or more. The caffeine metabolites found in tea are theophylline and theobromine. While over consumption of caffeine can result in harmful side effects, such as sleep disorders or diuresis (increased urination,) an excessive amount of tea (300 mg of caffeine worth) would be required to create these effects. Some people say that the stimulant effects of tea seem not only milder than coffee, but that they are not as jarring, as though the effects are dosed out over a longer period of time. It is indeed a beverage that seems to promote alertness and mental clarity, while simultaneously producing feelings of relaxation. For those with caffeine sensitivity, however, note that caffeine content is reduced in later infusions, the majority dispensed in the first infusion. An alternative preparation method is to give the leaves a quick “rinse” in hot water (the same temperature water used for regular infusion) for about 5 seconds, then strain out the tea completely (down the drain.) Now make your “first” infusion for a slightly shorter period of time than recommended. The flavor will be comparable and the caffeine content significantly reduced. There is also Houjcha, whose roasting process greatly reduces caffeine content, and the non-tea alternative, Sobacha (“Buckwheat Tea.”) Teas that are decaffeinated by process may have higher than allowable fluoride levels due to the water used for decaffeination. Green tea is not commonly consumed with milk, as is often the case with black tea. But those of you drinking “Matcha Lattes” may want to know about a 2007 Berlin Universities study, published in European Heart Journal, that showed milk’s casein protein binds to the molecules, particularly EGCG, in tea that may be beneficial in protecting against cardiovascular disease. Another 2007 study published in New Scientist suggests similar effects of milk & tea concerning cancer. Plant based “milks;” such as soy, rice, or almond milks, do not contain casein and may be worthy of consideration or further study. While it is not Charaku’s goal to make claims concerning the potential health benefits from drinking green tea, we are aware that many consumers are initially attracted to green tea for this reason. We hope that this information will provide some background for the interest and research in the possible associations of health and green tea, and that Japanese green tea will become an integral part of a healthy lifestyle for more and more people. Our goal is to promote the enjoyment of Japanese Green Tea for reasons of culinary, physical, cultural, or spiritual health.